Fire | What YA Reading? Fire’s father was not a kind man. Cansrel was not loyal, or compassionate, or gentle. Manipulating the king, killing the women he slept with so he would not reproduce, and basically leading the Dells to ruin, he was not particularly nice. But Cansrel forgot to murder Fire’s mother, so he was left with his monster child, Fire. Fire’s father was not a kind man. But he loved her nonetheless. And maybe that’s why this story, having only existed as a result of Cansrel, is such an interesting one. Can a person who loves another person really be evil? While coming to terms with her past and her present, Fire proved to have unusual depth. Her moral debates, her strange acceptance of all things bad in the world, and her refusing to use her powers was captivating. Did I not mention her powers? Being a monster, Fire is a gorgeous creature whose beauty enables her to control the minds of those around her. However, because she was dually raised by Cansrel and her neighbor Brocker, Fire has a strong moral compass that prevents her from using her powers in anything but self-defense. The way Fire improved herself throughout the novel was also interesting, although a slight setback of this improvement 85% of the way through the book was dissapointing and inconsistent. I feel like Fire went from being a good if slightly hurt character, to facing her present, to facing her past, to becoming totally useless, and then back again. Raptor monsters can fly, right? So how come no raptors have ever made their way through the mountains to the the Seven Kingdoms, especially since Fire takes place before Graceling? Brigan was an enrapturing character. I loved that, even towards the beginning of the novel, you really got to see behind his ‘tough war commander’ facade. As I found out more about his past, I became even more entranced with him. The other members of the royal family were equally deep and amusing. Nash was charismatic and just the tiniest bit like his puppet father Nax. Clara was bubbly, sweet and perceptive. Garan was… well, in one word, severe. But he had a lighter side as well. And Roen was insightful, honest, kind and motherly. I also loved the Dells. The uprising of Lords Mydogg and Gentian was perfect; these characters were genuine and their actions were realistic. If our real, non-fictional world were subjected to the reign of Cansrel and Nax, as were the Dells, I can very easily imagine our society responding as did Cashore’s. Some people would try to gain power stupidly, as did Gentian. Some would be more clever in trying to become more powerful, such as Mydogg. Some would ally themselves with the throne and put their all into peace, like Fire. And some would simply sit back and wait to see who their new ruler would become. 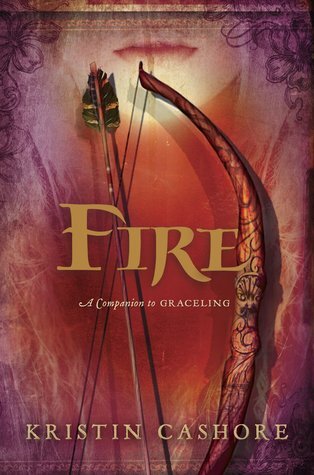 Fire‘s mystery was so much more well written than that of Graceling. It was way better thought out, a lot more suspenseful and very engaging and engrossing. The prologue, a hint to the solution of the mystery, was very creepy and strangely fitting. Fire merits 4.3/5 stars. For fans of Cashore’s first book, Graceling, and political intrigue. The only reason that I’m not rating it as well as I did Graceling is because the plot and the pacing were somewhat lacking. 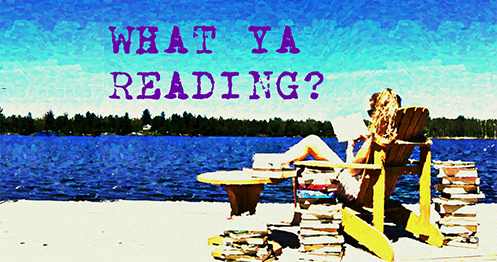 Pingback: Bitterblue | What YA Reading?